Peel broccoli stalks to remove tough outer portion and slice broccoli into small trees. Heat oil in a large wok or skillet. 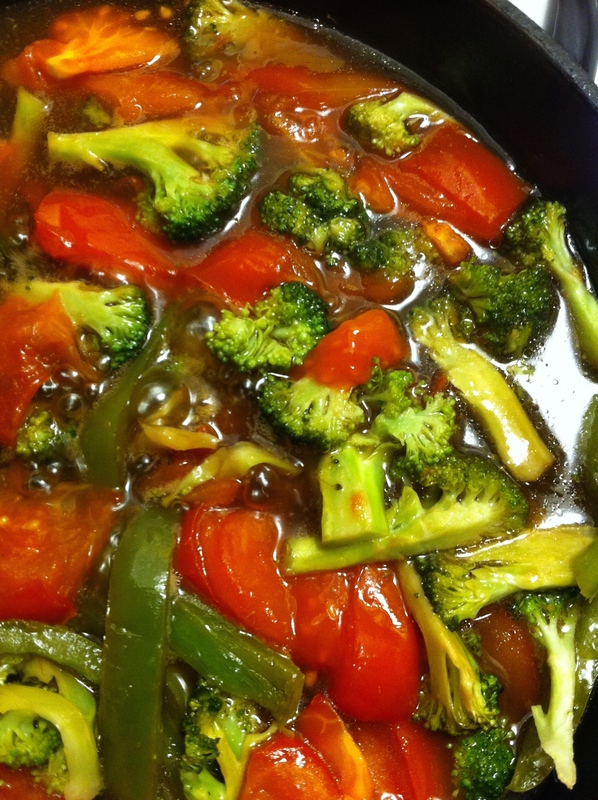 Add broccoli and peppers, stirring to coat with oil. Add water or stock and tomatoes. Meanwhile, in a small bowl, combine tamari, brown rice syrup, apple cider vinegar, apple juice, and arrowroot powder. Stir till smooth. Pour over cooked vegetables and cook, stirring constantly until sauce is bubbly and thickened. 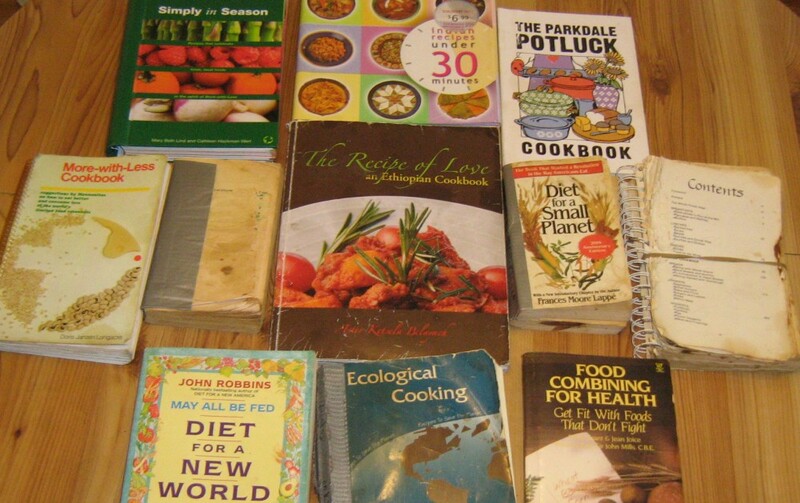 This entry was posted in Nuts & Seeds, peanuts, Skillet meals, Vegetables and tagged Broccoli, Ecological Cooking, green pepper, peanuts, sweet&sour sauce, tomatoes by gluadys. Bookmark the permalink. Oh!! So gud. Hv extra florets and if I dont cook them today it will get stale. Thanks for posting the wonderful recp.